The former offices of a historic Rotherham legal firm could be set for a new lease of life under plans to convert the building for residential use. Gichard & Co. was closed down in 2015 and the property on Doncaster Gate was last used in 2016. Now a change of use planning application has been submitted that would enable it to be redeveloped and turned into flats. Submitted by applicants, Conisbrough-based Appleby Homes Ltd, and drawn up by Plan Design Go Ltd, the plans for 31 Doncaster Gate, show nine residential units over the ground, first and second floors with services and a laundry room in the basement. The site is opposite to the new University Campus Rotherham which is under construction and set to open in September. The adopted masterplan places a greater emphasis on living and leisure, as opposed to traditional retail uses, in continuing the regeneration of Rotherham town centre. The Solicitors Regulation Authority (SRA) closed down the operations of 125-year-old Rotherham solicitors after a panel agreed that the Doncaster Gate legal firm had failed to comply with the rules made by the SRA. The panel also investigated Charles Rhodes, senior partner at Gichard & Co and found that "there was reason to suspect dishonesty on the part of Mr Rhodes." The findings meant that the SRA had grounds to intervene to protect the interests of clients and the decision was made to close the firm. 31-33 Doncaster Gate went up for sale in 2016 with property professionals, Mark Jenkinson and Co. It included accommodation over three floors totalling 2,870 sq ft and was sold as development opportunity with the potential for conversion into flats/bedsits. The property was made available freehold with vacant possession at an asking price of £250,000. 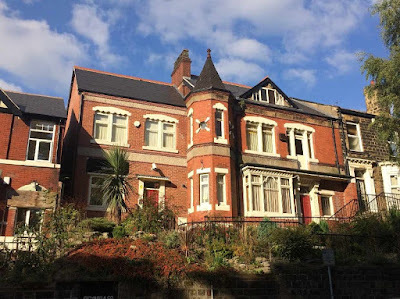 The sale documents set out that: "the property comprises a larger pattern semi-detached/end of terrace former dwelling house thought to date back to the period around 1910, now renovated and extended in recent years and formerly occupied as offices." Across town, another set of plans have been approved for the method of demolition and restoration of the office at Rocklands on Grove Road. The site will be restored with stones surfacing to be made available for possible redevelopment. Images: Mark Jenkinson & Co.